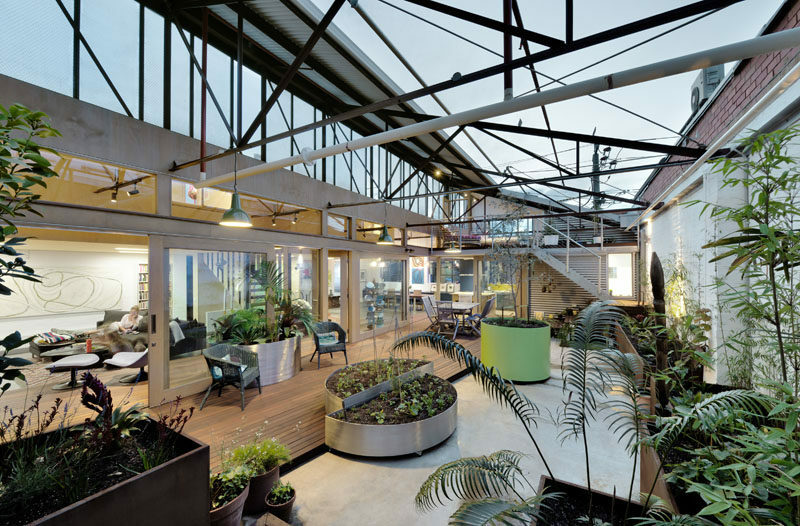 Zen Architects have transformed a 1960’s warehouse in Melbourne, Australia, into a comfortable and energy efficient family home that re-uses the existing building as much as possible. 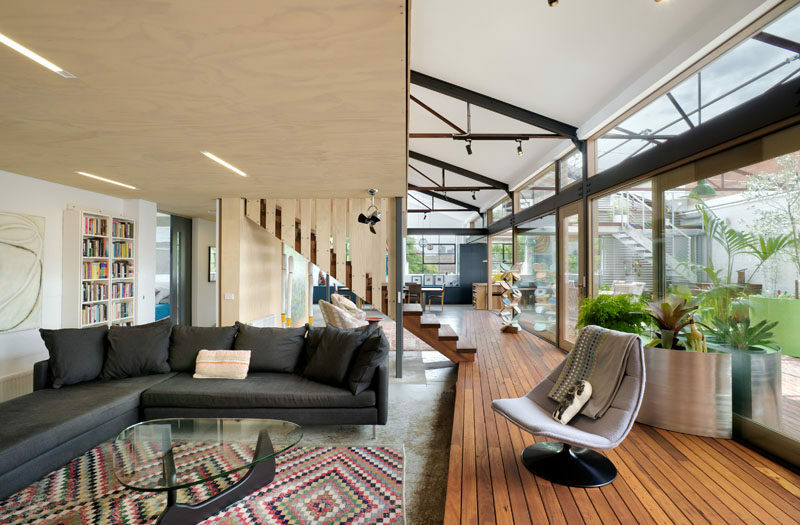 Throughout the home, original elements like the light fittings, sprinkler pipes, doors, cladding and roof sheeting have all been kept and help to create a unique interior. 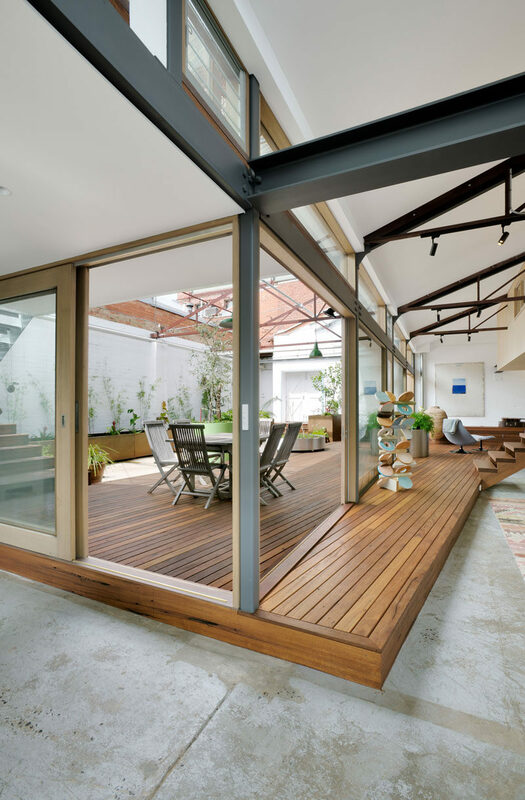 A new raised wood deck connects the living areas of the home with the courtyard. Sliding glass doors and windows allow the sunlight to filter through to the interior. 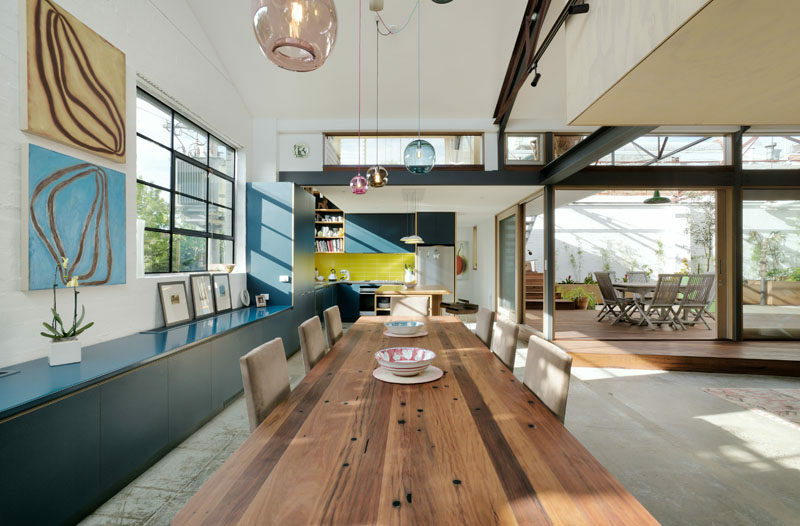 Custom blue cabinetry runs along the wall and into the kitchen, while a large wood dining table is anchored in the space by colorful glass pendant lights. At the opposite end of the open floor plan is the living room that’s stepped down from the wood deck. Simple lighting has been embedded into the wood ceiling. 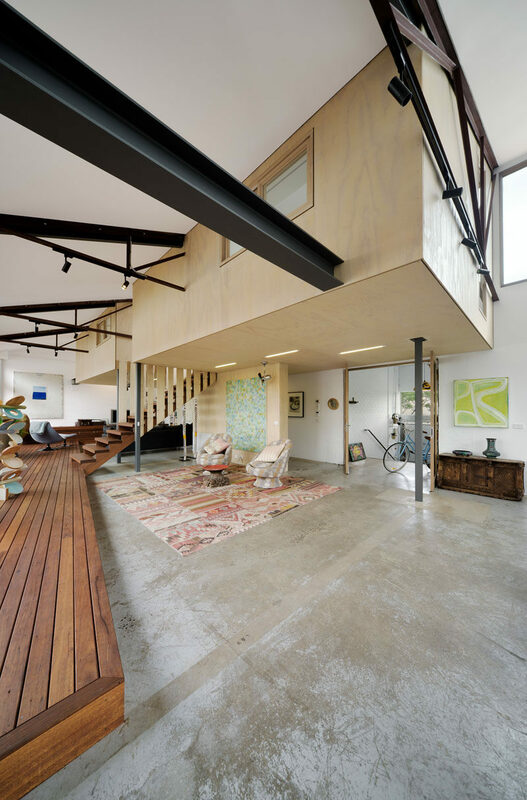 Throughout the main living level of the home, the existing warehouse floor slab was kept, partially due to restricted site access, but also for its inherent embodied energy. 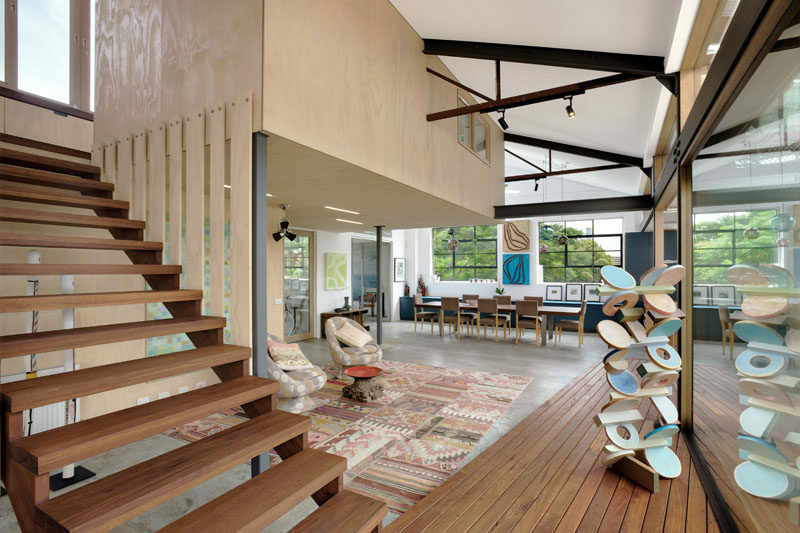 Upstairs, mezzanine rooms float within the original volume and structure of the warehouse and house the bedrooms. 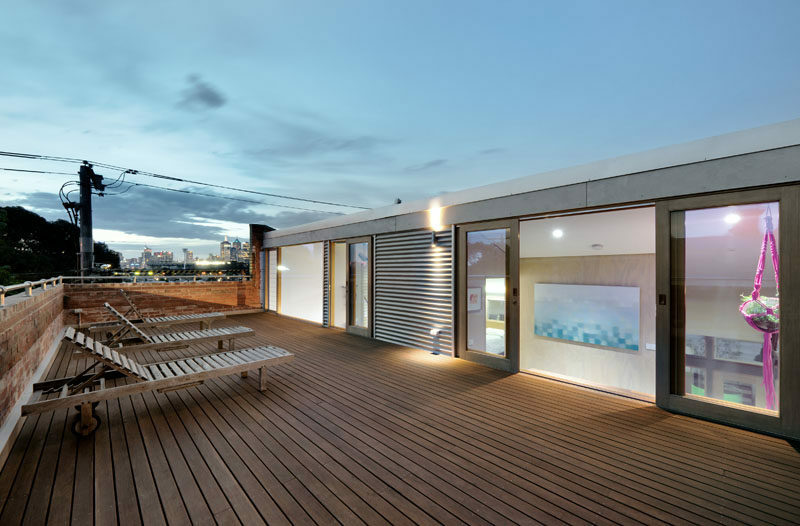 The house also has access to a roof deck that has views of the city.